the final transceiver is now professional made (V3 since july 2018. About 27% smaller than previous version)! Now it fit's in a matcbox INCLUDING a Lithium ion battery! my project build with MicroAPS from Mark. 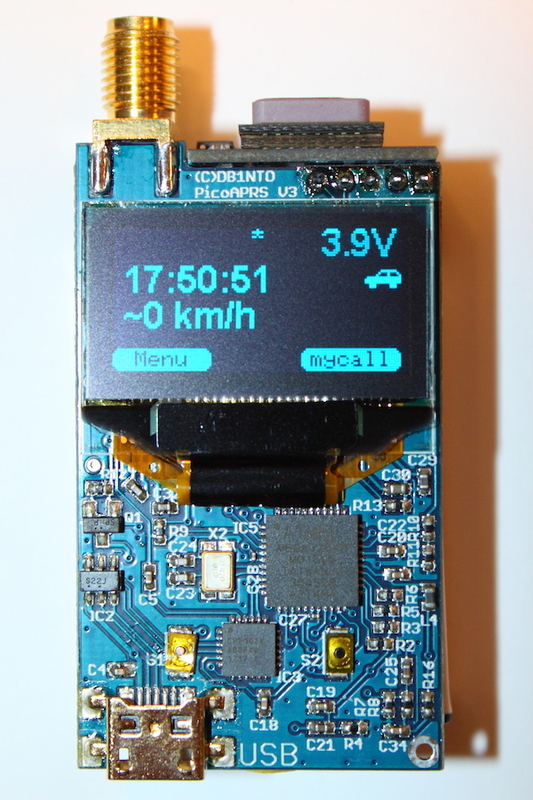 Thanks a lot to Mark for his great work on MicroAPRS! 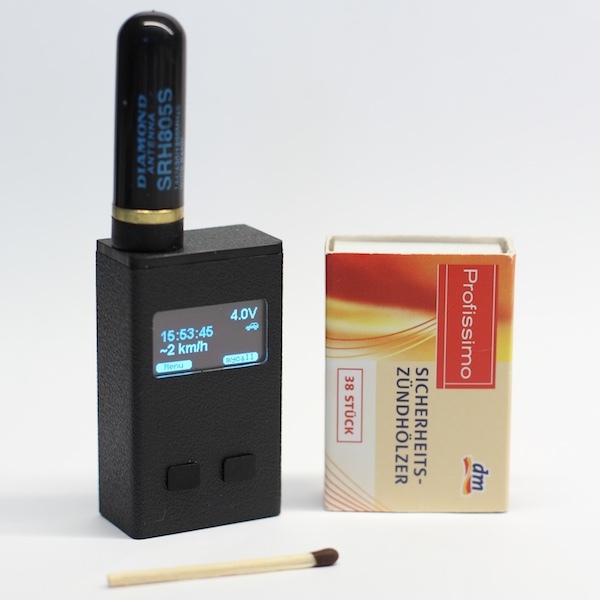 It can Transmitt APRS position beacon, APRS messages (like SMS!) AND receive both of them to display on small OLED screen! Yes, it decodes received APRS messages including Mic-e format! 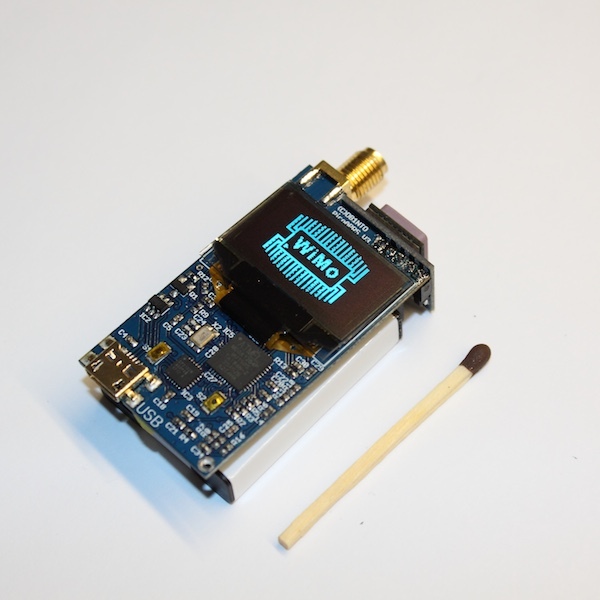 What does the MicroAPRS class does ? 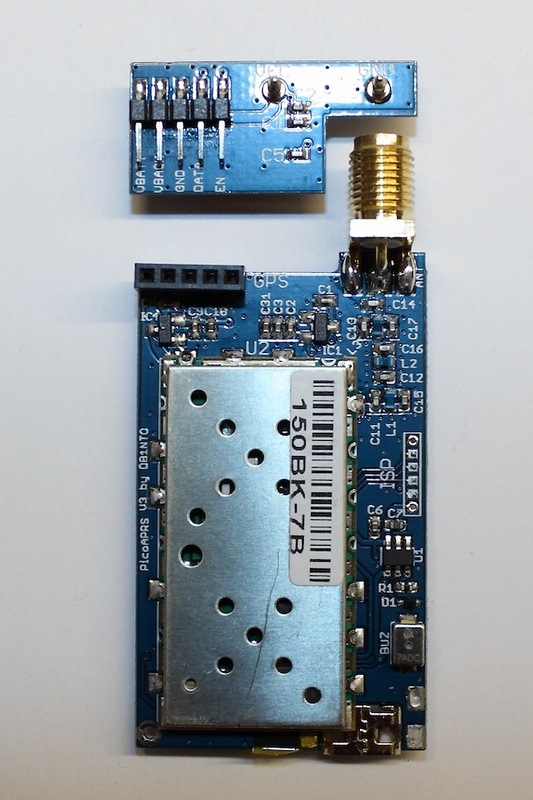 the MicroAPRS class parses incoming APRS packets and messages from MicroAPRS Modem. Also MIC-E format will be decoded! i read your blog some seconds before your last post. Thank you really very much for your great work! I´m looking forward to your Adruino IDE kompatible MicroModem software. Yes, one of the reasons I am rewriting it is to allow it to also run on other processors. I will at least support the 328 and the 1284 from the beginning! The 2560 should also be no problem, I just need to get one to test on I will let you know when I have a beta version ready. All AFSK modulation and demodulation is already implemented and working, and I am currently working on the AX.25 protocol and APRS functions. Thank you... thank you.. for writing the mic-e decoding functions!!!! ATmega 1284 is a very good choice! Sketch uses 30,482 bytes (99%) of program storage space. Maximum is 30,720 bytes. Which ones are the field for the comments ? that's why i wish support for a bigger ATmega (e.g. 1284, 2560) in future releases (new one with arduino IDE). i don't parse the comment on position reports. Don't tried positions with comment. Maybe some more testing here. Thank you! Will post here when i make an Update. This is awesome! A digipeater like this would be awesome also! OLED is a realy NOKIA 5110 display??? I will try to make this but it would nice to get a link to the tiny GPS unit you have there? please read my update on first post! 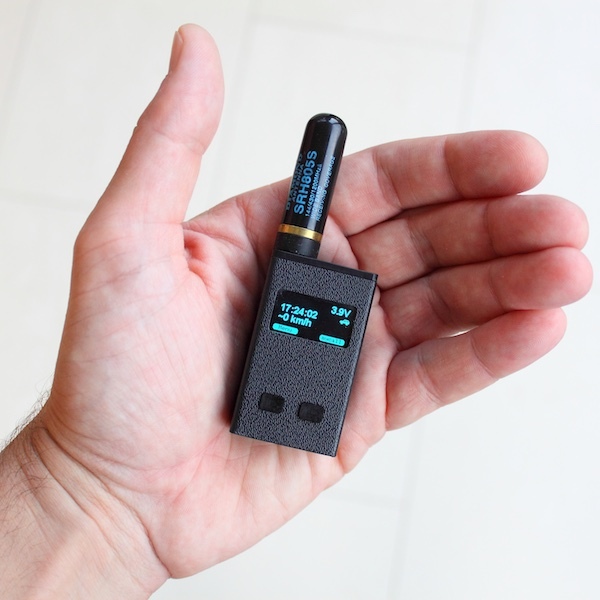 Did you brun in the microAPRS code using the hex fiile (with KISS?) 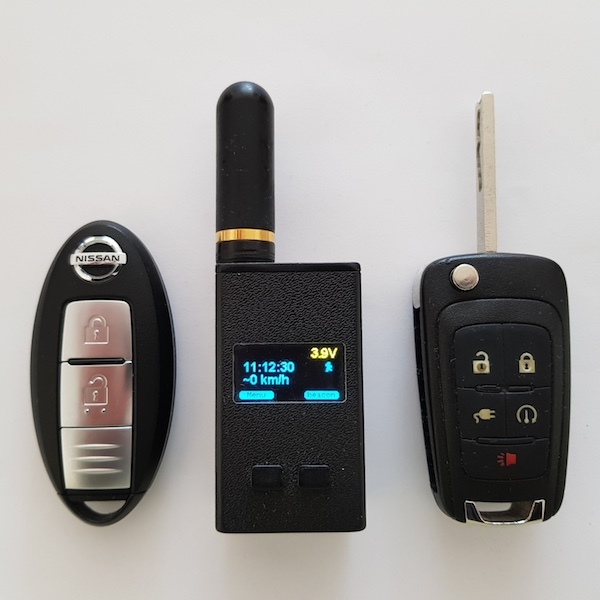 from http://unsigned.io/projects/microaprs/ ? The reason I ask is that I don't have a very high skill with programming (yet), as markqvist (github name) has coded in native C.
i burned the earlier version without KISS support. Ok. Have ordered the parts from Banggood and aliexpress so it will probably take som time before i get to solder and test.. I was thinking this should be made into a single PCB with connections for OLED , GPS and VHF. Ill see what I can do with eagle. At least when the code fits on one arduino. I have your code working 100% with my FT-100 control and Nokia 5110 LCD. It's really cool. 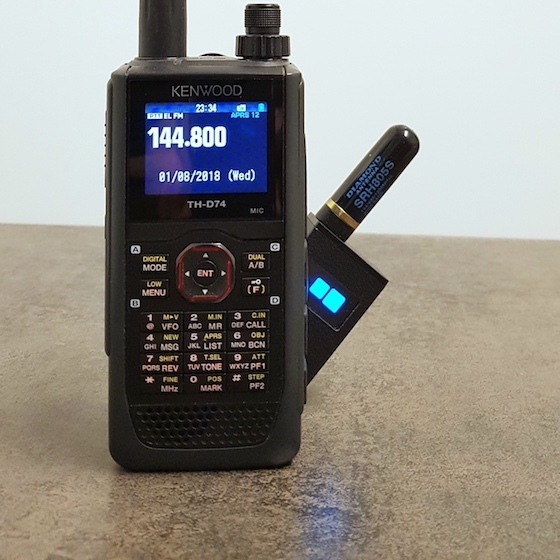 Long story short, it allows "normal" HF/VHF/UHF usage of the FT-100 (or FT-857) but changes freq/mode etc at beacon time (if on) and returns the radio to where you were when done. I would like to know if you have looked at adding comments parse as well? I have tried, but not having much luck. Thanks for sharing your work here, between you, Stanley and Mark, it's amazing. I suspect Stanley has already worked it out, it is probably just me having trouble. I can do it outside of the MicroAprs Lib, but that is not a good solution, and causes other problems. Have a great Xmas and New Year All. I'll let you know how it works for me. Wow!, this is working really very well. Mark's Micromodem is demodulating packets that are very noisey from the radio. Stanley's code and Taner's library make it work perfectly. It behaves now (nearly) just like a "proper" APRS rig like the TMD-710. As soon as I make it "look pretty" I'll put some pics and code here.